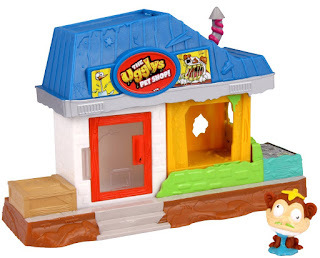 Win The Ugglys Pet Shop - Pet Store, from Character Options worth £12.99! Welcome to the Ugglys Pet Shop, the place to go for a laugh and a barf! This stinky store is your one stop Uggly shop, whiff the lot, but watch your steps, these crude critters aren't house or street trained! 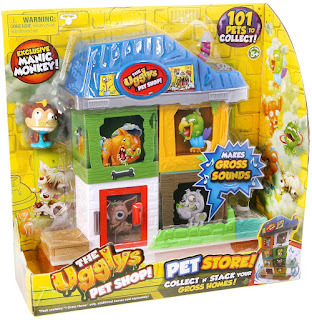 Display your exclusive Manic Monkey figure in the pet shop window and press down on the store to hear gross sounds! You can even combine with additional gross homes (sold separately) to create the ultimate towering pet store! Be warned, this stinky store has grossness galore! x1 Exclusive Manic Monkey Figurine. Please note: You must at least follow or like Unique Young Mum and Character Options on at least one social media platform! To find out more about Character Options, and to view their full range of products, check out the official website here.